The .45 ACP has a well-deserved reputation one-shot stopping power and sheer brawn. It’s considered a combat pistol cartridge and was created in 1904 by John Browning in response to a request for a truly phenomenal cartridge from the U.S. Cavalry. But what many firearms lovers don’t know is that although it’s a big round, it has low muzzle flash and blast, and recoil is only moderate, not the heavy-duty kick many expect. It comes in at 21,000 psi, which is a lower pressure than the 9mm’s, which is 35,000 psi. 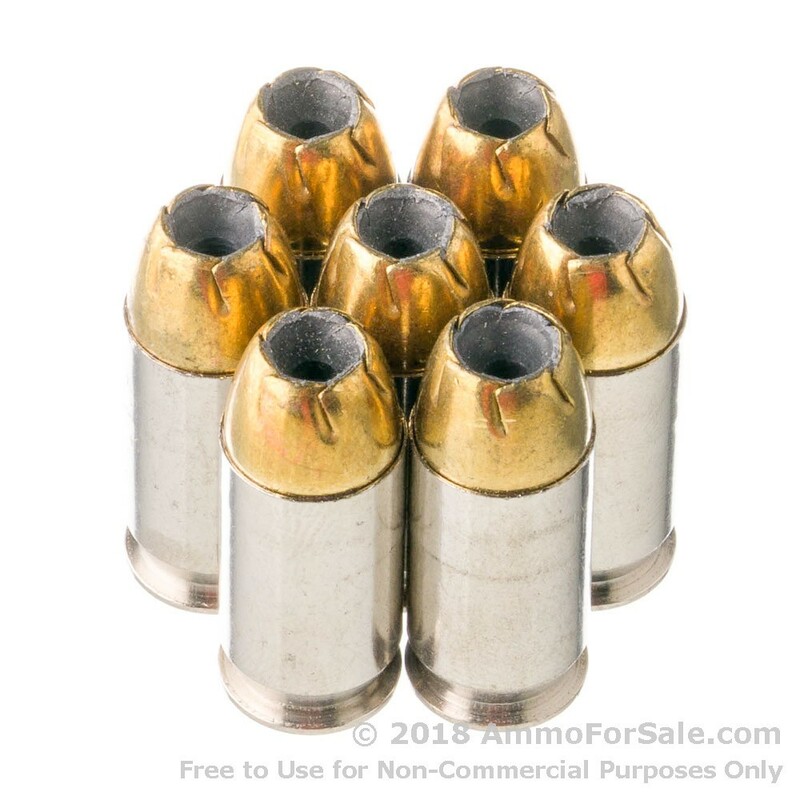 Firearms chambered in .45 ACP also have low bolt thrust, which significantly extends the overall life of the weapons. Regardless of the rest of the facts and theories, the reality is it’s a reliable, strong round depended on by operators like Navy SEALs and Delta Force. 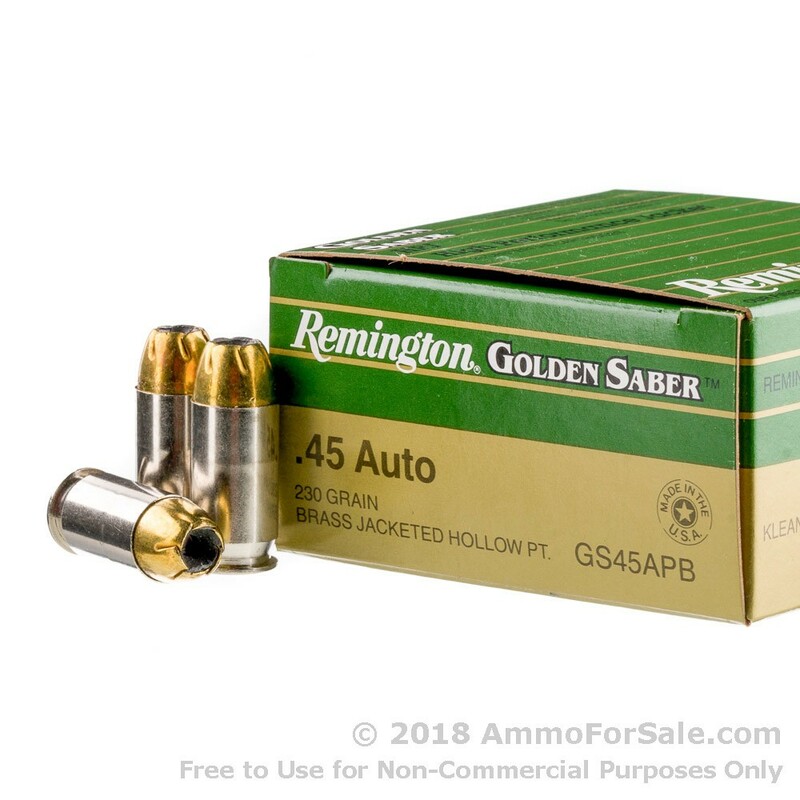 If you love your .45 ACP, you want to keep it well fed, and you want to feed it with American-made, high-quality ammunition. This Remington ammunition certainly fits. 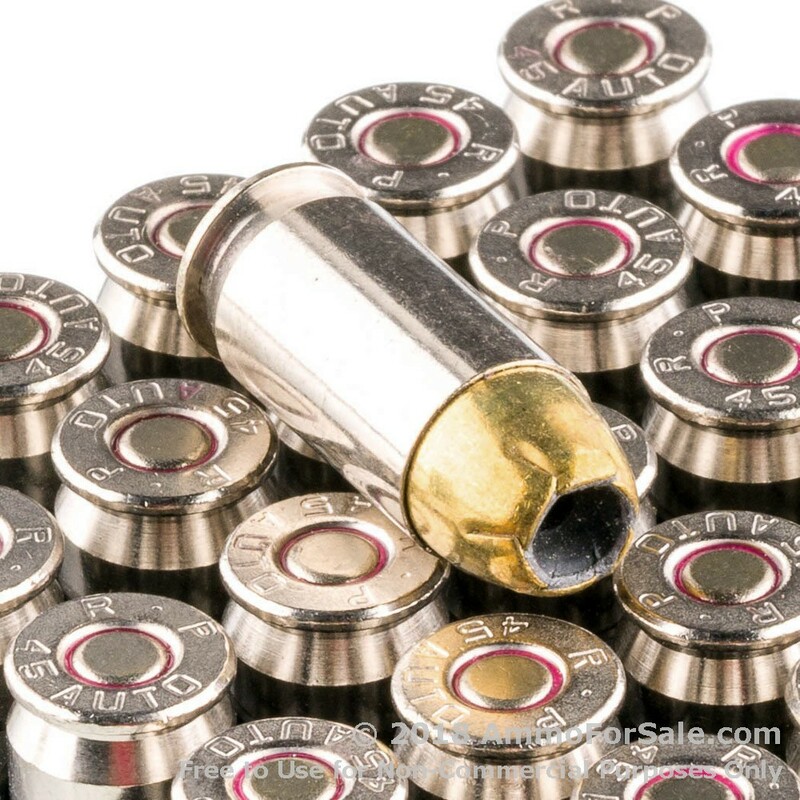 These are heavy 230 grain JHP rounds made for self-defense. On impact they deliver impressive energy transfer and instantly begin to expand, and because they’re also jacketed, they’re made with stronger metals which both help control expansion and reduce lead fouling. This ammunition has a muzzle velocity of 835 feet per second and a muzzle energy of 356 foot-pounds. Since 1816, Remington has been supplying products the firearms community trusts and relies on. Their classic green-and-white box is the first thing many shooters reach for and have reached for, for generations. 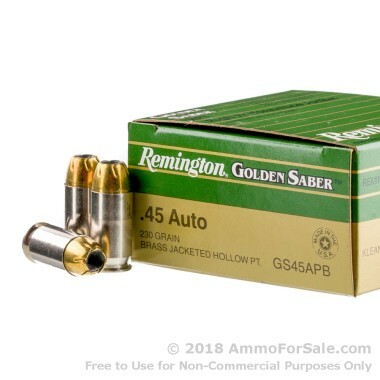 All their products are made in America and ammunition such as this is manufactured at their plant in Lonoke, Arkansas. When you buy Remington, you can be confident you’re getting ammunition produced to strict standards. There are 500 rounds in this box, so you can train using the same ammunition you conceal carry with. When it comes to self-defense, you shouldn’t skimp on practice or quality, and that’s why 500 Remington rounds are the right order to place without delay.